Phil Main from Classic Rock 94.5 is going to run/walk/crawl 120 km over 5 days to raise awareness for Mental Health across Midwestern Ontario. 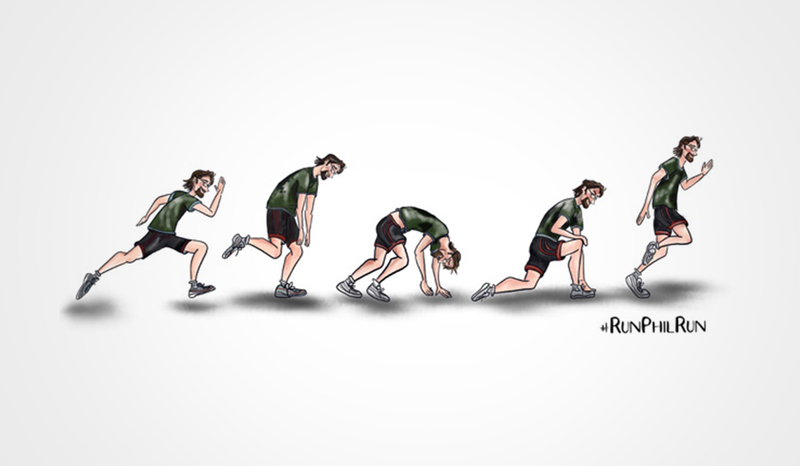 Phil is pledging to run/walk/crawl 24 km per day during Mental Health Week, May 6 – 10, 2019 in communities across Midwestern Ontario. “The run is dedicated to some really great people we’ve lost and to those who continue to fight in silence” says Main. Beginning May 6th, 2019, Phil will begin his 120 km journey working alongside the Tanner Steffler Foundation, Get in Touch for Hutch, WES for Youth Online, Mental Health Matters, #Lextalkandlisten and Strides for Mental Health. The goal is to help raise funds but most importantly, to raise awareness of the importance of good Mental Health. Each organization will host an awareness event in their local communities. In Phil‘s personal journey, he’s discovered that helping others has been good medicine. “Mental illness takes many forms, but I think I’ve dealt with it enough to be empathetic to the struggles of a lot people who battle depression and anxiety. I believe we all have a duty to use whatever we’ve been given to help each other and I want to do that” says Main. Phil has been the voice of morning radio in Midwestern Ontario for almost 30 years and is currently hosting Classic Rock Mornings on Classic Rock 94.5. He’s also been known to pick up a guitar and sing a song or two. His greatest achievement: Three awesome children and two grandchildren who light up his world.